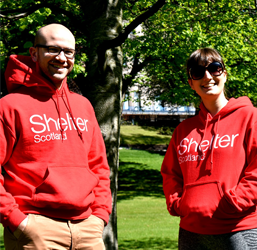 Gildan branded red hoody featuring Shelter Scotland logo. Perfect for keeping warm when you’re out and about helping to raise awareness. 50% cotton, 50% polyester.